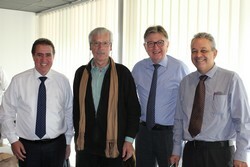 The visit of a delegation from Campinas, 20-25 March 2016, took place in Montpellier within the framework of this agreement. For the record the agreement aims to support the setting up of a cooperation platform gathering universities, training clusters, R&D clusters and companies to develop research and technological innovation in the fields of agriculture, food, biotechnology, biodiversity, biofuels, sustainable development and environment. Organization of common workshops on some issues. After the realization of these steps, a delegation from Montpellier cluster including stakeholders in the research and innovation sectors will go to Campinas to continue the implementation of the partnerships. 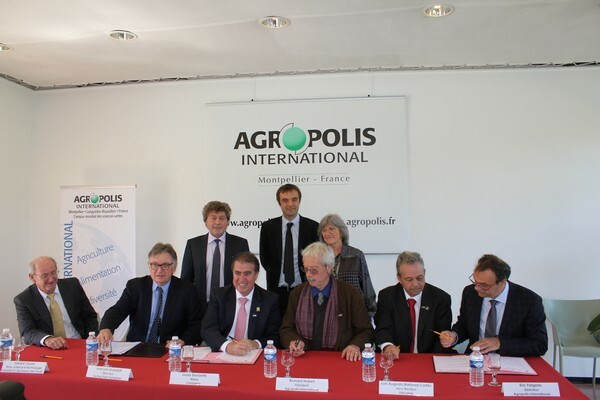 During its visit to Montpellier, the delegation also signed a Memorandum of cooperation with Montpellier Méditerranée Métropole, (to reinforce the protocol signed in March 2003) in favor of the “development of new digital technologies”. Among the objectives: obtaining the French label « French tech hub » and attracting companies.